THE CULT is the will of the world. THE CULT is a group of people who watches over all society. Whether the people want them to or not. They come for the evil. They come for the wicked. Fear if you ever come under the attention of THE CULT. Our first 20-part comic series, following other web comics we admire, has been set up in name-your-price style. You can choose to read it for free, or set any price you want. We love comics, and love to do comics. We want to put our story out there, and hope that with your support we'll be able to produce and finish this series as soon as possible. Enjoy it! The files are available in HQ PDF, CBR, or CBZ. We'll add more languages as we translate the scripts. 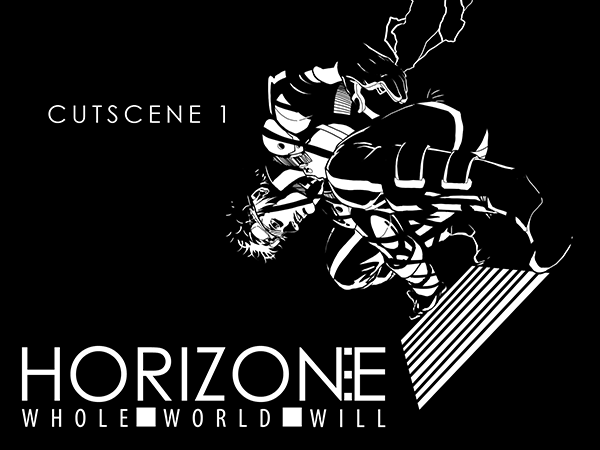 ISSUE ONE thru FOUR of HORIZON:E are AVAILABLE NOW!